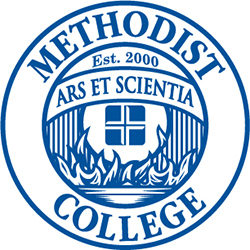 Methodist College offers several degree options for individuals to earn a Bachelor of Science in Nursing that prepares students to take the nursing licensure examination. In addition, the college offers the RN-BSN completion degree for registered nurses who completed an associate degree or diploma nursing program. Please visit Graduate School for information on our degree options to obtain a Master of Science in Nursing. Enact the professional role in nursing. Integrate evidence-based practice in providing safe, effective, and culturally-appropriate nursing care in partnership with a diverse clientele in order to promote health, prevent disease, and to attain, maintain, or restore wellness. Promotion of optimal client outcomes is best accomplished within an environment of respect, caring, and compassion. Practice professional nursing in a variety of health care systems and contexts, responding to influences and determinants that impact delivery and outcomes of care within institutions, organizations, and agencies. Practice professional nursing that embodies a spirit of and commitment to inquiry and community to continually improve nursing practice, client care, and health delivery systems.